TJ Holmes is an American journalist and television personality. Today he presented on our website as our celebrity personnel. He is taking a hard test to see how physique ready he is. 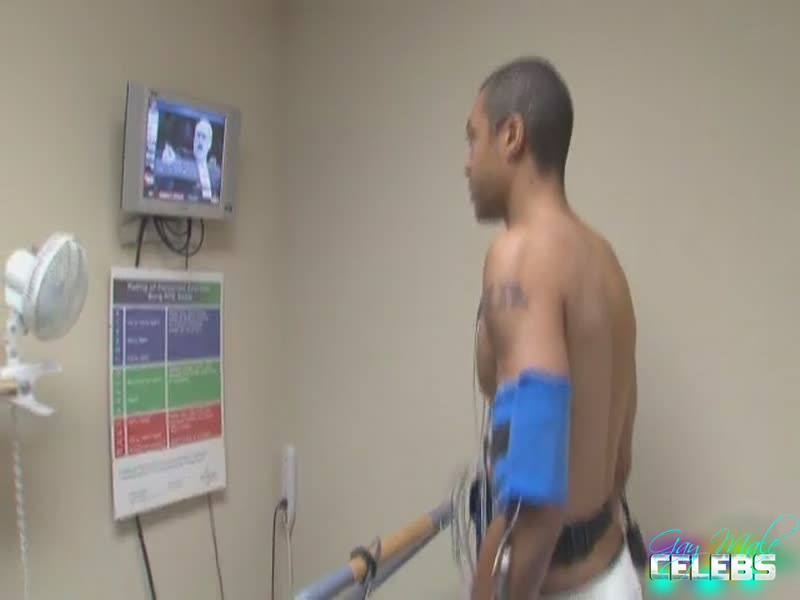 He is shirtless in a doctor’s office measuring his fitness level and as the test goes on he is more and more sweatier and we get to enjoy his nicely shaped body getting covered in wet sweat.